Aruba’s beautiful white sand beaches are the main draw for many when choosing a Caribbean vacation. The beaches on the Aruba’s south shore are pristine and picture perfect, but don’t make the mistake of spending your entire Aruba vacation lounging on the beach and swimming in the crystal clear Caribbean Sea. There is much more to experience when you visit Aruba and RockaBeach Aruba Island Tours are a great way to explore and learn from locals. The island is small, just 20 miles long and five miles wide. 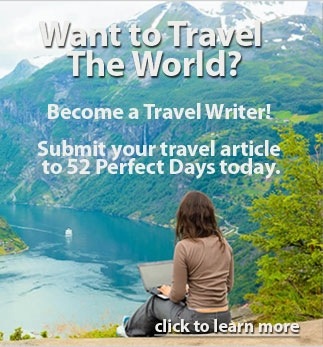 Even though the island is tiny compared to many other Caribbean islands, there is a good portion that is unpaved. 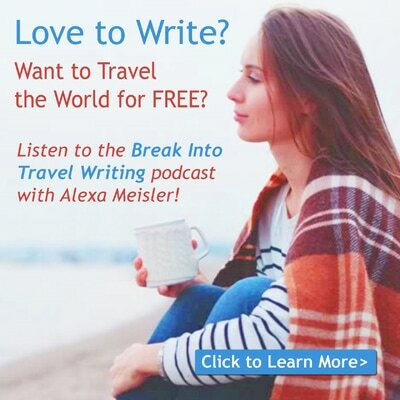 So, it’s not as easy as renting a car and doing a loop around the island. There are many ways to explore Aruba, but if this is your first time, I suggest a guided tour. It’s a great way to explore all that Aruba has to offer. During my visit to Aruba I took two tours; both with Rocka Beach Tours. This is one of the smaller tour companies on the island. The owner, Frankie is a native of Aruba and knows his history. Like most other local’s, Frankie speaks speak four languages; their native language of Papiamento as well as English, Dutch and Spanish. 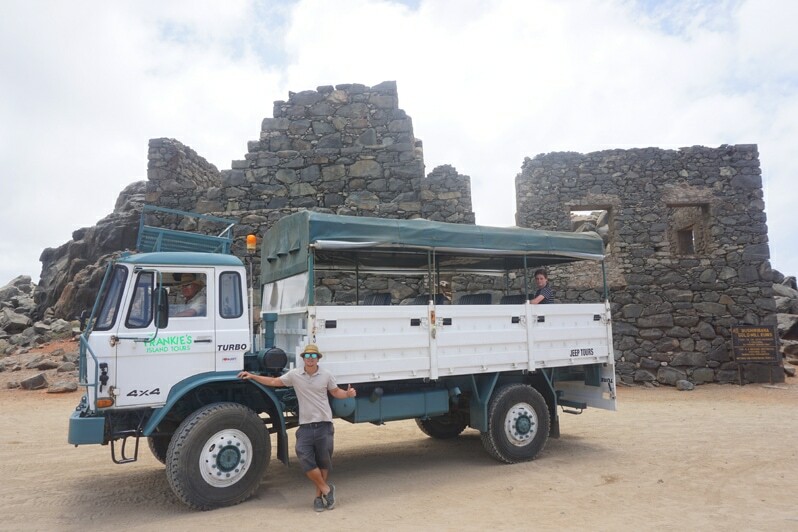 Frankie’s tours are known locally as some of the best, showing Aruba for what it really is: a wonderful island filled with beautiful nature, friendly people, a complex history and there is no better way to learn about than first hand. 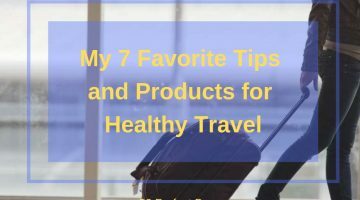 Tours are the best way to learn about a location, and especially when I travel with my son, I always take a tour in the first day or two. This allows a deeper appreciation of the location, it’s people and it’s history. Beyond the history, I recommend Rocka Beach because they tours are fun. 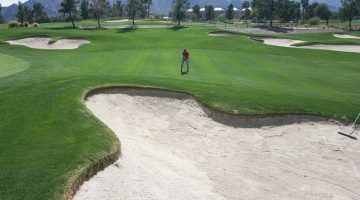 Frankie offers day tours, group and private sightseeing tours. When I visited with my son Roland, we took the Beach Bus Tour and the North Side Aventure Tour. 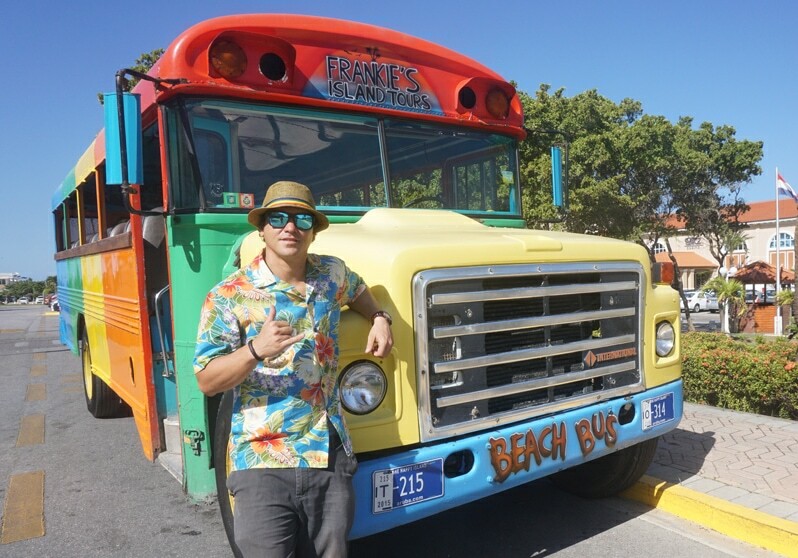 Frankie’s RockaBeach “Beach Bus Tour” is fun. 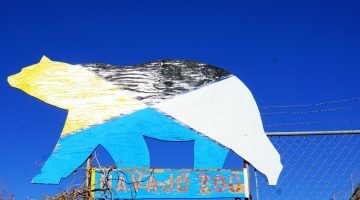 The tour takes place in a school bus that has been painted and decorated like Rastafarian underwater dream. Caribbean Music and Aruba’s Top Carnival songs play throughout the tour. It feels like a party, but the tour also tricks you into a history lesson by shares Aruba’s complex history & culture. As Frankie told me, “this will not only be a fun guided tour, but it will be an unforgettable experience”. Our tour started when Frankie picked us up at our hotel. 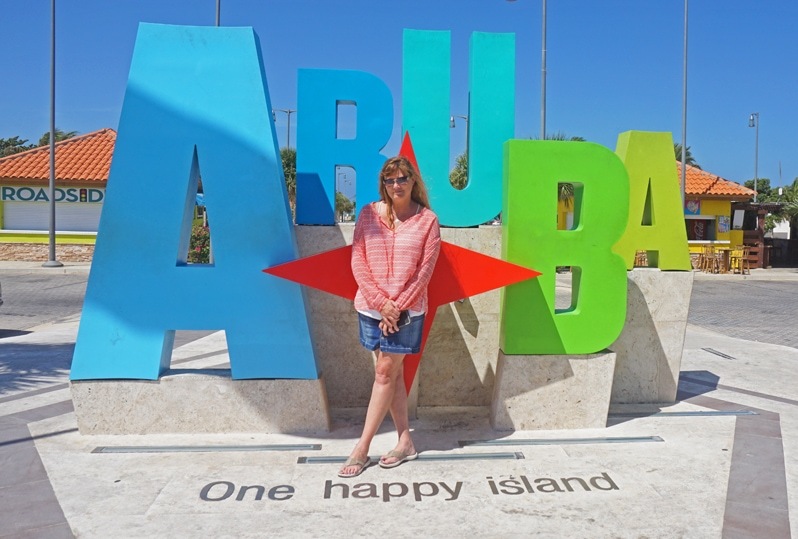 We then headed to the capital of Aruba; Oranjestad where we stopped at the cruise port to pick up passengers from the cruise ship, Adventure of The Seas. It was an immediate party when the cruise passengers boarded, bring their vacation vibe along the way. Our first stop was the Aruba sign, where we all had the opportunity to take a photo (and prove our Aruba experience to all our not as lucky Instagram friends). This tour includes driving by many of the most beautiful beaches, beach houses, luxury residence, the highest mountain in Aruba and Renaissance Island. We also stopped at several landmarks and viewpoints where we were able to jump off the bus and explore. There was even an impromptu stop at a local supermarket to pick up some of the local Balashi beer. 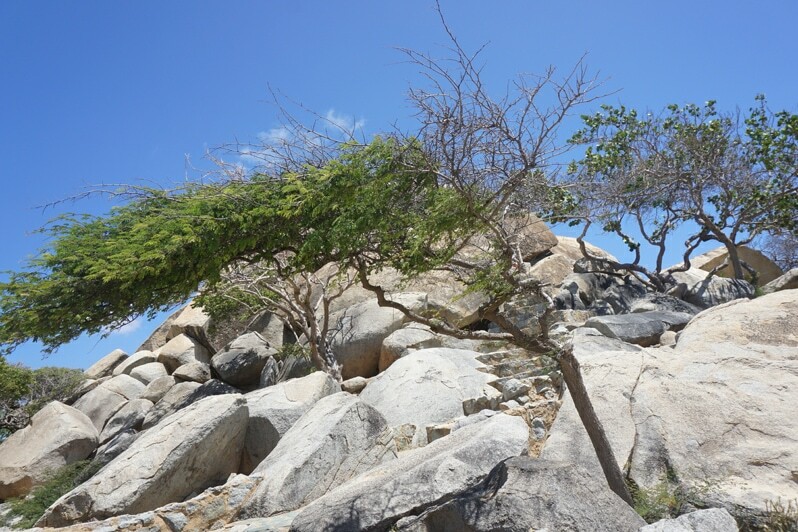 Casibari Rock Formation is a geological formation in the center of Aruba. You can climb to the top of the formation and enjoy an amazing viewpoint of the island. Geologists are uncertain about their origins, but they believe that a collision of tectonic plates created these formations forcing this massive slabs to the surface. At one time this tiny island was the world’s largest aloe exporter. 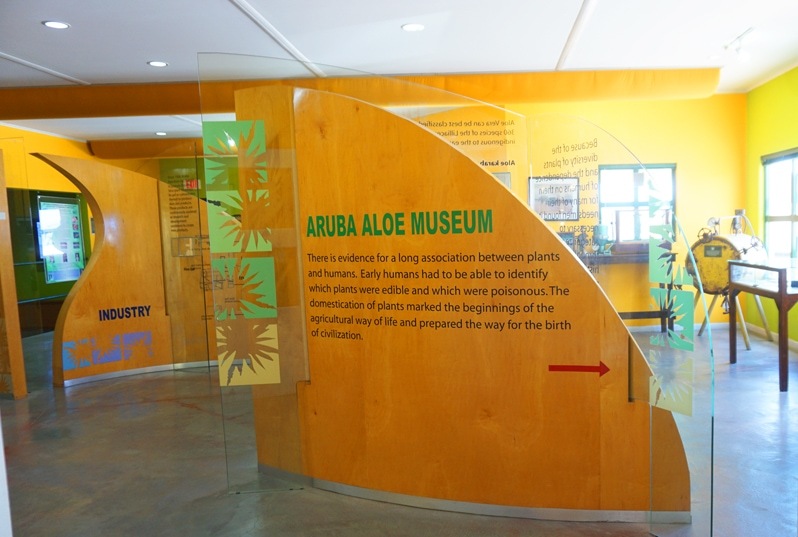 The Aruba Aloe Museum and Factory are both free. 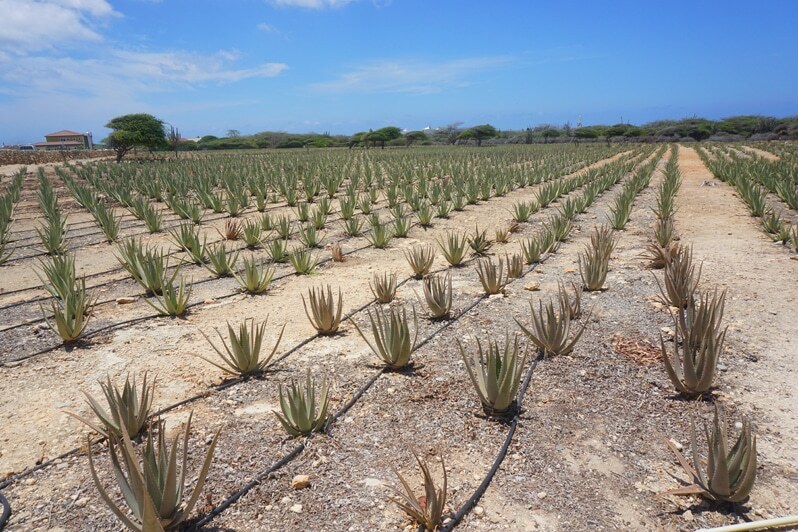 The museum explains the 160-year-old history of aloe on Aruba and is followed by a guided tour of the working factory. Our tour began outside with a guide demonstrating how to cut an aloe leaf and extract the inner substance. There is a short video about the life span of the aloe vera plant and its healing powers and next you get to peek into the different rooms where the aloe products are created. The 20-minute tour ends in a gift shop where all of the natural aloe healing products can be purchased. 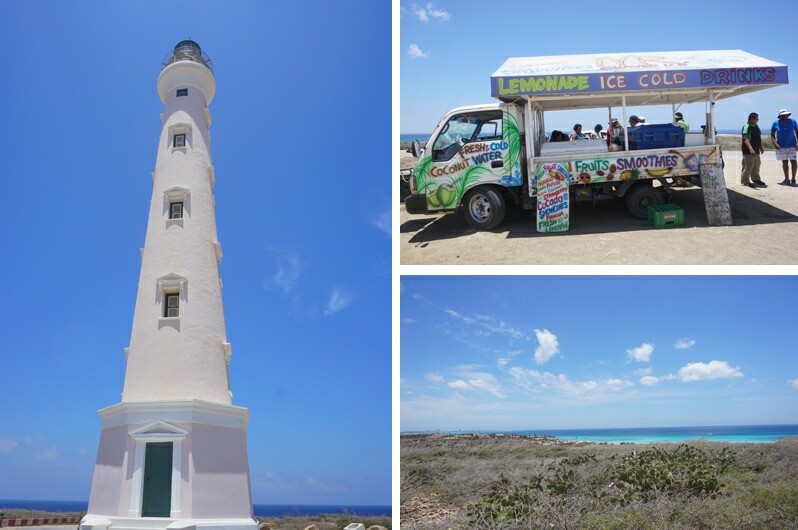 The California Lighthouse is located near Arashi Beach on the northwest tip of Aruba. This lighthouse was named for the steamship California, which was wrecked nearby on September 23, 1891. Today it’s a tourist attraction and one of the best spots to find fresh coconut water. The tour is about 2.5 hours. There is also an option to add snorkeling to this tour. Frankie takes the group to a beautiful beach to snorkel for the afternoon. 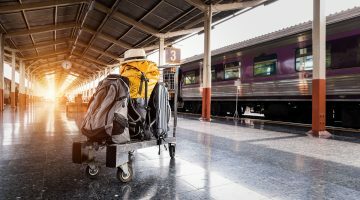 With either tour option you will then be returned to your hotel or cruise ship. This tour usually includes a stop at the Old Dutch Mill, but our group chose the aloe farm. This tour explores Aruba’s north shore in a 4×4. This is the best way to explore Aruba’s rocky, wild side with volcanic stones and big waves. This tour focuses on some of Aruba’s most beautiful sites. Frankie along with the guide, share the geological history and how the island was formed. You’ll also learn about the flora and fauna of the island. 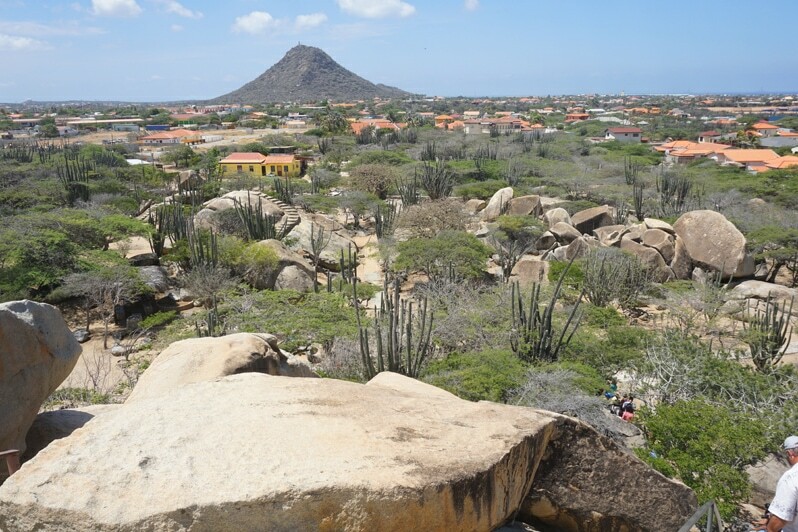 Aruba owes its geologic formation to volcanic activity, which can be observed best on the north side of the island. Below are some of the spots you’ll visit with Frankie’s adventure tour. Alto Vista is one of 50 churches on Aruba and was the island’s first Roman Catholic Church. It was originally built in 1750 and then reconstructed in 1953. It is the oldest chapel on the north side of the island. It also offers one of the best viewpoints for sunset and sunrise in Aruba. The Natural Pool or “conchi” called is a secret, hidden pool on the windward coast surrounded by rocks. A bit hard to find without a guide, this protected pool is found just feed from the wild waves of the sea. 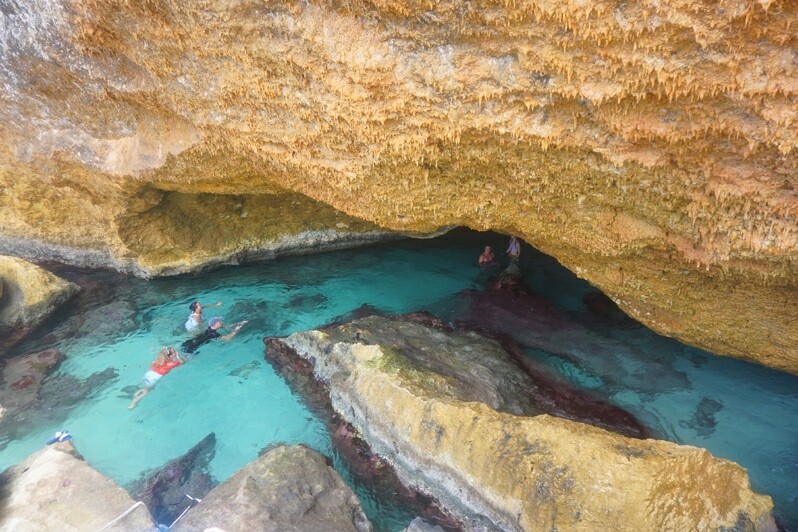 There is no better way to cool off from a warm afternoon than a dip in this gorgeous natural pool cave. 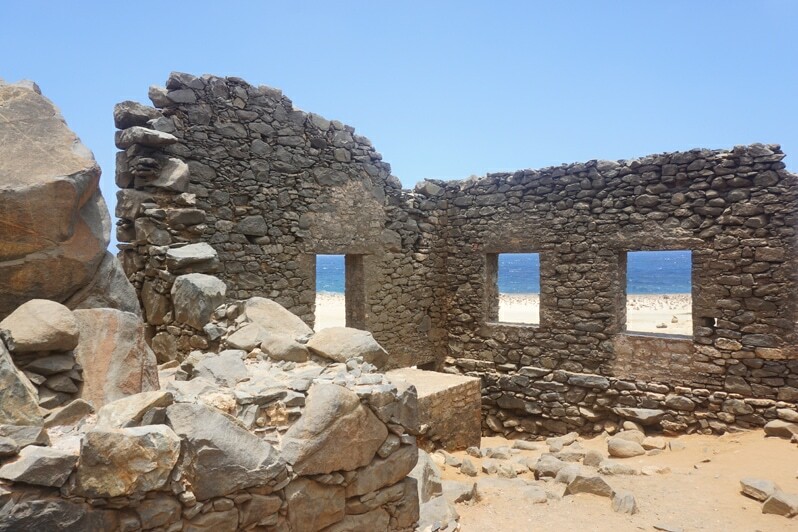 On the northern coast, midway down the island, sits the abandoned gold mill that once processed ore from mines in the nearby hills during Aruba’s gold rush of the nineteenth century. In 1824, gold was finally discovered in Aruba, and eventually, the industry produced more than 3 million pounds of gold. Today, the ruins are a national historical cultural site and site-seeing attraction that offers an awesome photo opportunity. 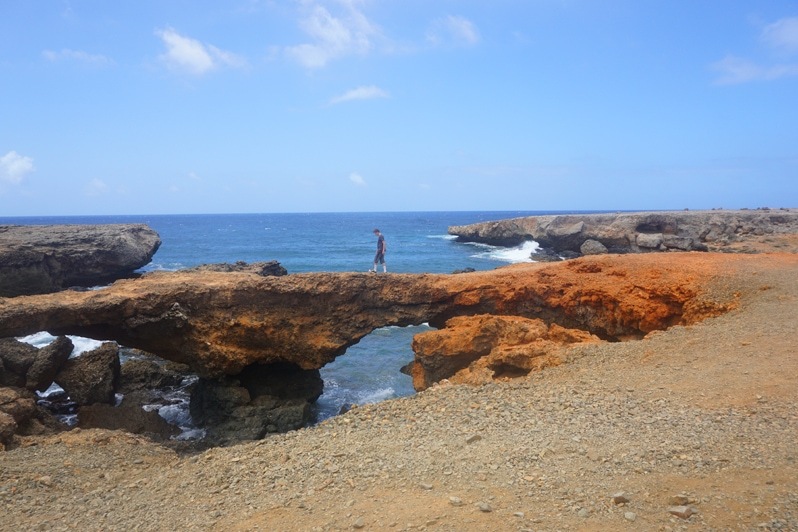 An Aruba island tour lets you get to know Aruba’s north side where you can see different kind of Volcanic Stones, Big Waves and beautiful land marks. If you are still looking for more to do on Aruba, Frankie also owns the only go-kart track on the island; Bushiri Karting Speedway. Next door to the go karts is Fuel Sports Bar & Grill. 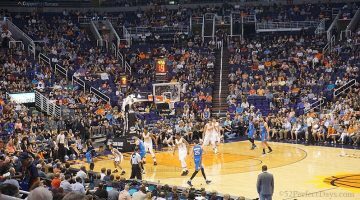 If you are a sports fan, this is the place to catch coverage of sporting events. The go karts are open from 3:00pm until 10:00pm. 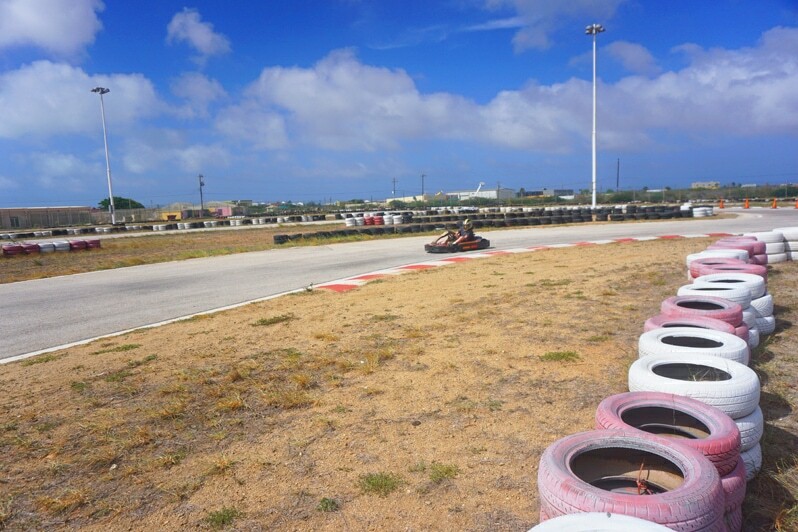 If you plan to visit Aruba, please check out Rocka Beach Tours and Bushiri Karting Speedway. I guarantee you’ll have a great time! 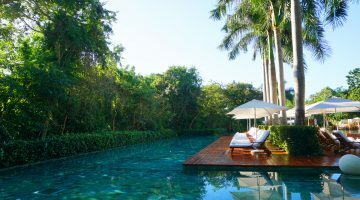 It will be difficult not to spend the majority of time there lounging on the beach and swimming, but who knew that this small island would have this much to offer! Incredible. I had the impression that Aruba is all about laying on the beach. Glad to know there’s plenty of things to see and do on the island! My fam would definitely enjoy some adrenalin fix at the Bushiri Karting Speedway! 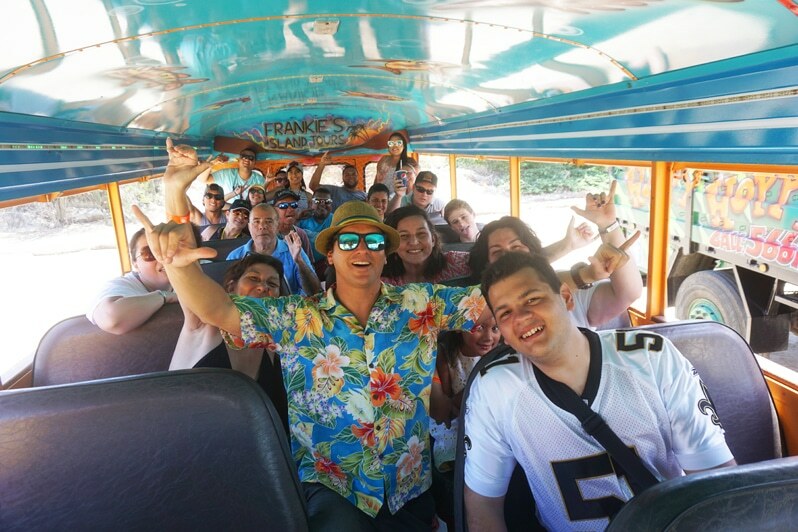 The RockaBeach “Beach Bus Tour” sounds fantastic – you hit all the highlights in a fun way. I missed the Natural Pool on my visit so will need to go back! And kudos for finding a hotel for $40 – what a deal! Wow, Aruba has a far more varied landscape than I expected. I love how this tour really explores so much of Aruba and it’s unique characteristic. the natural pool looks amazing! What a great way to see the island! I would love to swim in the natural pools!